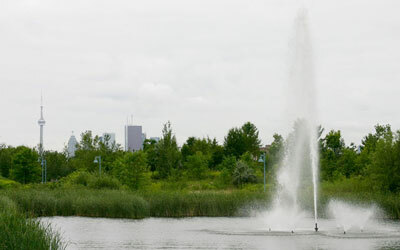 to our winner of June/July Secret Beaches Spot contest: Ivana T. This photo is a 15 feet tall water fountain at Woodbine Park, north east of Lakeshore and Coxwell. “A morning walk in the park is made extra special when I see and hear the sound from this fountain.” – Brenda S.
Do you recognize it? Tell us where the Secret Beaches Spot photo was taken, and you could win a pair of My Beach Stickers! Email your answer by July 10 to info@beachesliving.ca. Send us a photo of your Secret Beaches Spot with a brief description. If we use it you will receive two Beach car/window stickers of your choice. 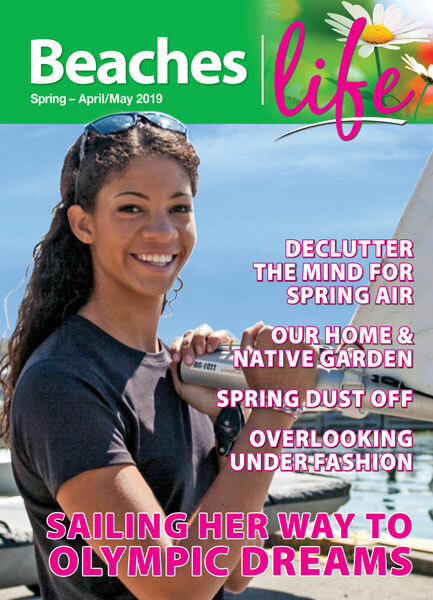 Email your photo to: info@beachesliving.ca. 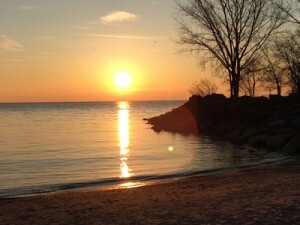 a sunrise at Ashbridges Bay Park.